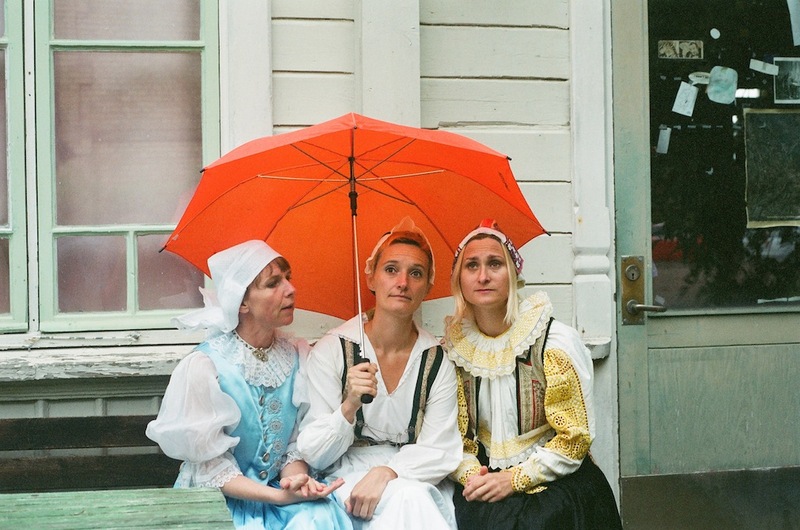 At the intersection of folkdance culture and contemporary improvisation culture this international trio indulges in made up and experienced cultural roots, traditions they never had and dances they never learned. Connecting home is: the practice of improvisation and contact improvisation. The shared questions are: how much improvisation can a thematically set piece take without bursting? And how much individuality can an improvised trio take without falling apart? 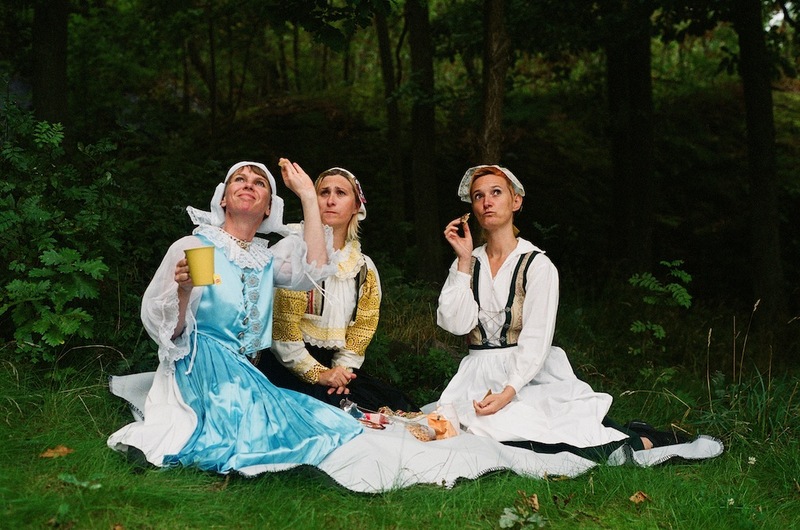 Dressed in Bavarian Dirndl’s, armed with irony, supported by newest improvisation technologies the three dancers dig into our projections and clichés of country living and the traditional. They are odd and familiar in their pride of and will for a self-made nature idyll and in their passionate attempt to include every soul in the room into the warmth of their temporary village. Dieser Beitrag wurde am 20. Juli 2012 von susanne in Choreographies, Improvisations veröffentlicht. 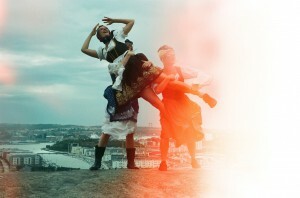 Schlagworte: Choreography, Collaboration, Improvisation, Performance.